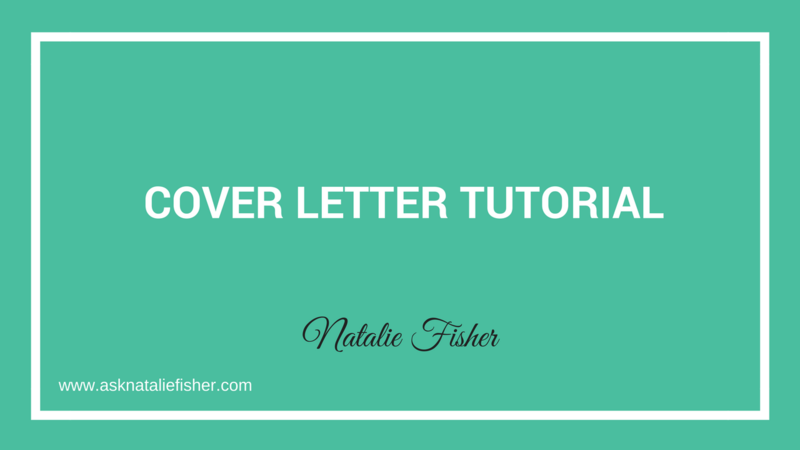 Welcome to this cover letter tutorial! 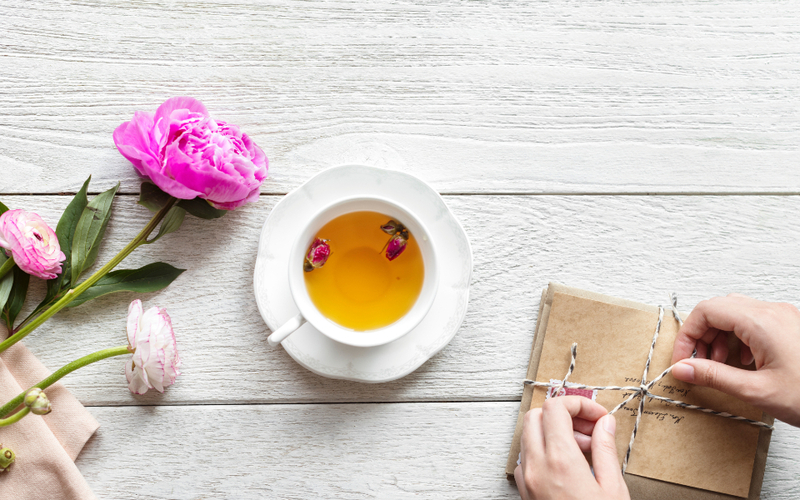 If you’ve ever struggled with this, if you can’t seem to figure out how to write the perfect cover letter or where to start, then this information is for you. 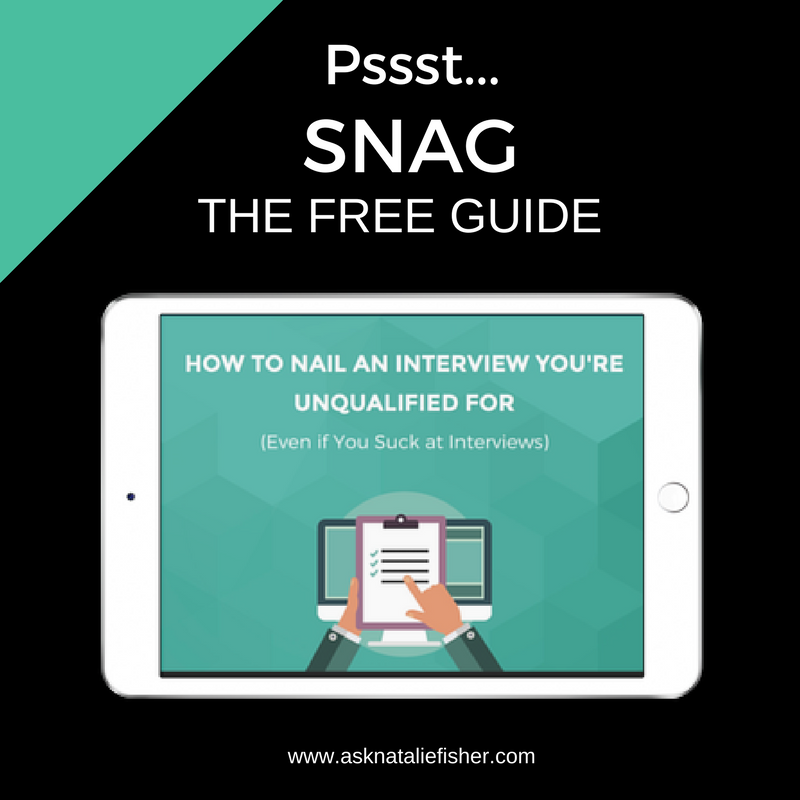 Before you get started reading – feel free to INSTANTLY DOWNLOAD THE COVER LETTER EXAMPLES GUIDE This will help you follow along if you’re watching the video, or reading the blog! First, we’ll talk about two key concepts that you need to understand before you jump in and write your letter. Then we’ll cover three examples of cover letter styles that have all worked well and landed some great jobs. Your approach to the cover letter depends on the industry. Let’s look at an example. If you’re writing to a legal institution, an educational institution, or a government agency, this warrants a more formal letter. No first names! Mr., Mrs., last name—more formal language. If you’re going to write to a tech startup or a music studio, for example, less formal. You can use first names. You can be a little bit more fun in your style of letter. We’ll talk more about this. Get clear on what you want, so you can have powerful messaging in your supporting documents (resume and cover letter). 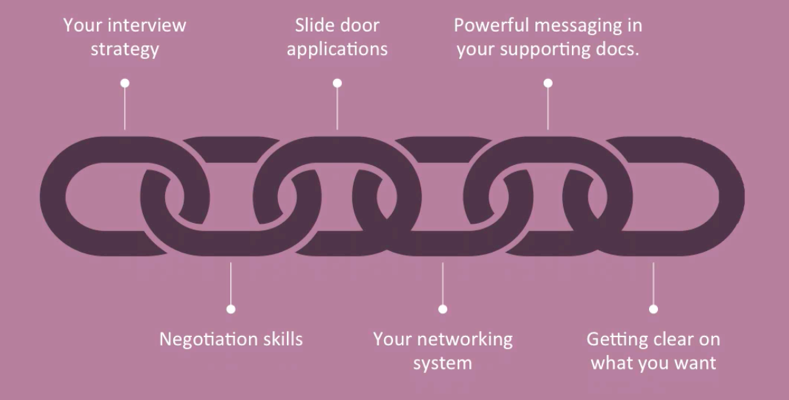 In your networking system, you want to know the right people, know how to reach out to them, and you want to reach out to them on a regular basis with the right words. You want to used side-door applications. Your application technique needs to be strong. You don’t want to just rely on the black hole. Strong negotiation skills and know-how. Any one of these links could be weak, and if it is, being aware of it is your first step to greatness moving forward. Let’s get into the three examples of cover letters that work. This letter is very successful, because it’s talking to the hiring managers directly about problems they are facing day to day. It really hits home. So, this ‘Problem Based” cover letter is more focused. Now, you can do a combination of the three, but a ‘Formality Based’ letter is going to be using a bit more formal tonality. Again, it’s going to use Mr. and Mrs. It’s not going to say “Hey Joe.” It’s going to be more formally written. I’m going to give you an example of that, so you can see word for word what a ‘Formality Based’ cover letter looks like. This is the type of cover letter that I have the most experience writing, because most of my jobs have been at places where the culture is a little bit more ‘think outside the box,’ and they welcome that. It doesn’t mean that it doesn’t focus on solving a problem. It doesn’t mean that it doesn’t talk about your skills that are necessary and relevant to the job. It just means that you can use a bit more fun tonality and a little bit more creativity when you write it. 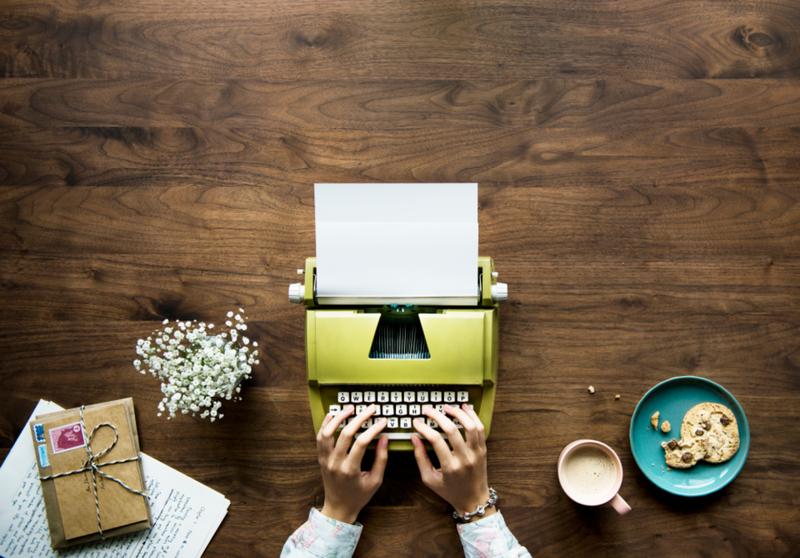 If you’re interested in diving deeper with these three styles of cover letters, you can download the Free Cover Letter Example Package HERE. Three examples of the written word-for-word letters mentioned here, plus a fourth examples. I slipped a bonus example in there, because one of my clients recently landed an awesome job as a conference and event manager, and she used this letter. It’s beautifully designed, and you get a workbook and a checklist to start on your own cover letter. And, of course, you get instant access waiting for you right now. Now I would love to hear from you. Have you ever been stuck on your cover letter? You’re not really sure where to start or what to write? Or have you had a really great success with a certain cover letter, and you’d like to share some tips with us? If you have anything on the subject, I’d love to hear it. I’m also on YouTube & I’d be honored to have you as a subscriber. Your video is so great! I loved watching it. The visuals you use are so helpful to keep ideas about writing a cover letter in my mind. If I am applying for a job with a small, fun local business that is up-and-coming, do you think the Problem Based letter is best, or the Start-up one? Thank you so much for this post. This is going to be very helpful for me. The cover letter example packages are also very handy. It’s so difficult to know what to write or where to start sometimes, that’s why I really appreciate this guide. Thank you so much! Hi Maureen, I would say a combination of both, addressing the problem for sure and using some of the same language that you can use in the start up letter! Extraordinary article, bless your heart! I have a question and it goes this way. I submitted online application cover letter, continue, extra data, and so on. I got a pre-screen call from a human resource representative. Next, I was set up with the enlisting supervisor for a specialized telephone screen. The following week, I was welcome to meet nearby. So here’s the question, would it be a good idea for me to compose another introductory letter to incorporate with my resume when I show up the day of the meeting? What do you recommend when organizations request Pay desires in your cover letter? What is the most ideal approach to address these desires in your letter? Looking forward to hearing from you. I believe that talking about salary should be postponed until you know for sure they are interested in extending you an offer. Until then your main focus of the conversation is to determine whether or not you’re the right fit for them, and they’re the right fit for you. You can say something like this. “I’d be happy to discuss salary at a later date, right now I’m focused on discovering whether there’s a fit here for both of us”. 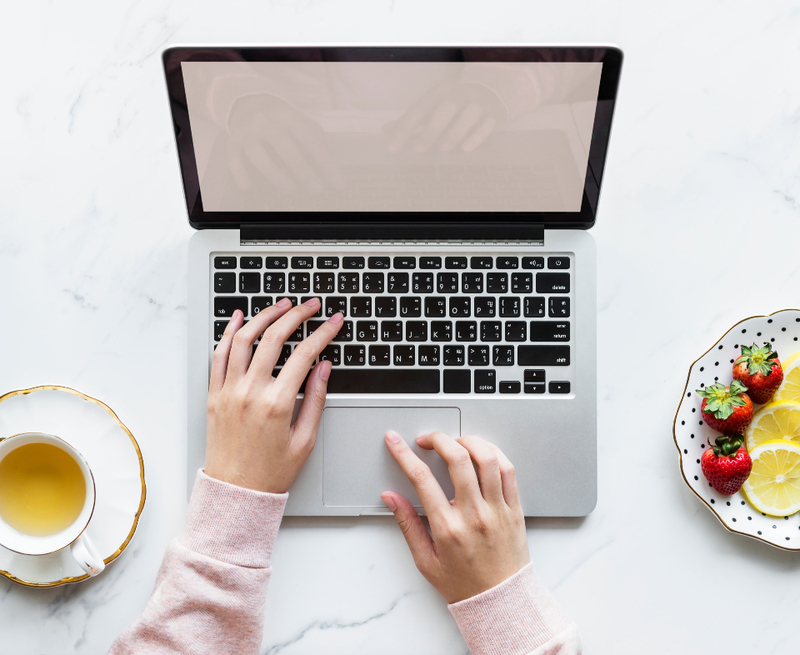 In the event that the occupation application asks for that you present your resume by means of email, is it ever fitting to make the email itself the introductory letter? On the other hand, is it better to do it as a more formal connection? 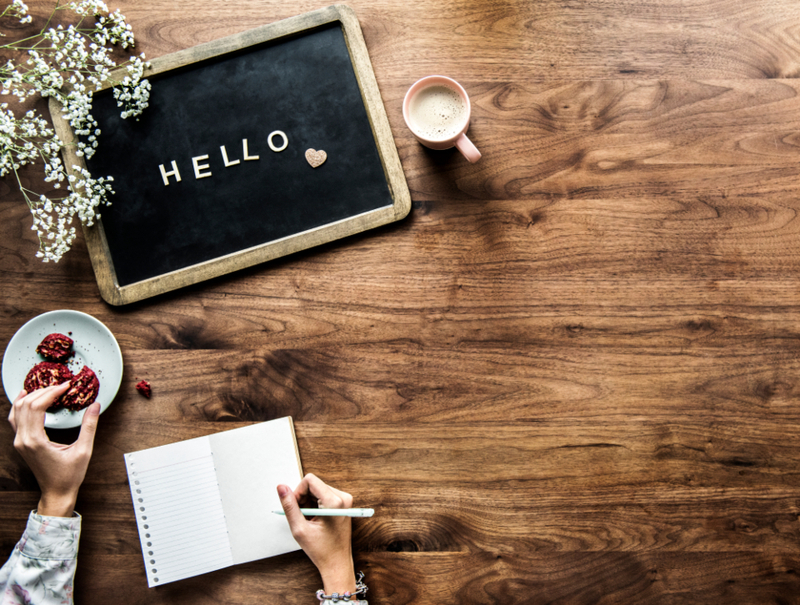 A couple of short introductory lines in a friendly tone are what I normally do, as well as attach a cover letter and resume in the email. This is really awesome stuff. I was able to apply what you’re talking about. Love it. Thanks the download is a powerful pack! Terrific work! This is really great I appreciate this information and it’s what I was looking for.